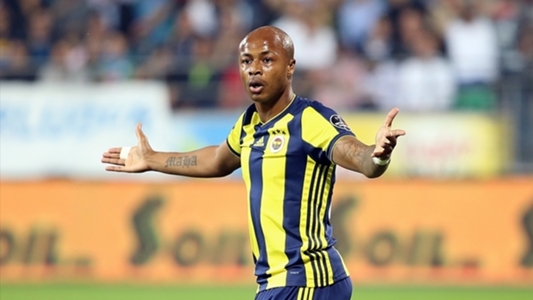 Fenerbahce legend, Ridvan Dilmen, has warned the club’s hierarchy not to make the deal for Ghana international Andre Ayew permanent at the end of the season. Ayew joined Fenerbahce at the beginning of the season on loan from English Championship side Swansea City, and the Yellow-Navy Blues have the option of making the deal permanent for €12 million. Fenerbahce President Ali Koc last month lauded Ayew’s leadership and personality, and expressed the club’s desire to trigger the future fee clause in the player’s contract. However Dilmen, who spent seven years at the club between 1987 and 1994, has not been swayed by Ayew’s display during his time with the club. Ayew has scored just 4 times this season in 20 appearances for the side who find themselves in turmoil this season – sitting just two points from the bottom of the Turkish top flight, and 21 points behind leaders Istanbul Basaksehir.